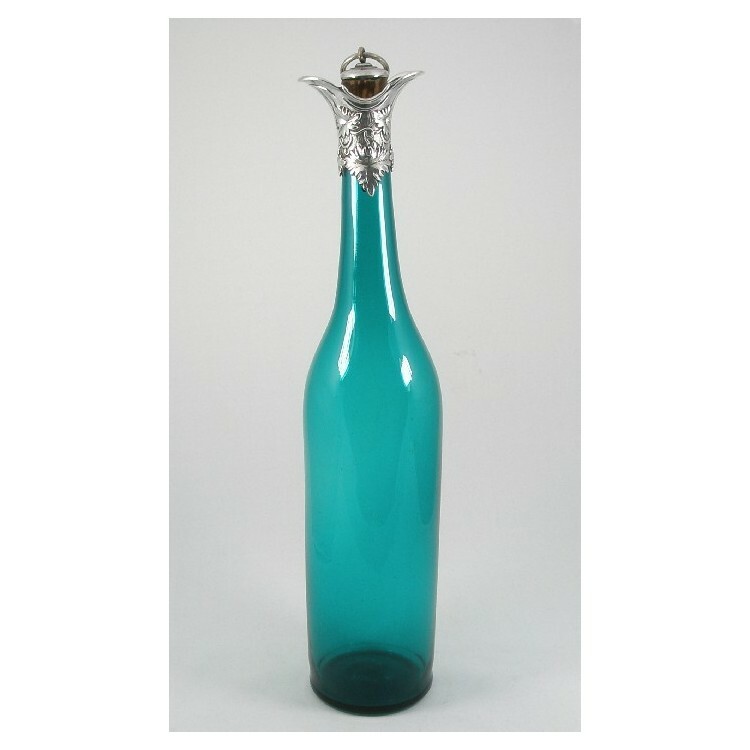 A fine quality Regency Bristol green glass wine decanter with silver mount. 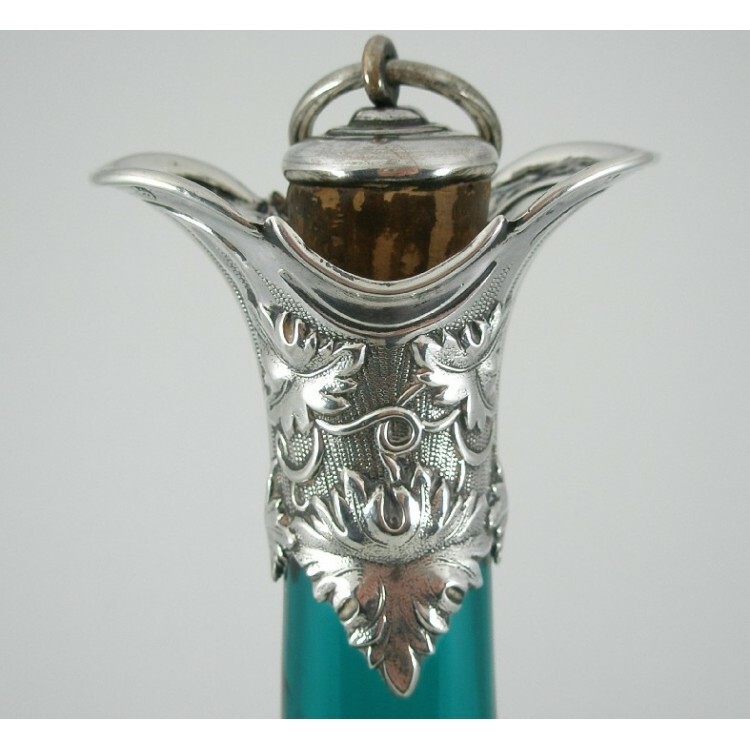 A Regency/early Victorian Bristol green glass wine decanter with silver mount and silver ring pull cork stopper. 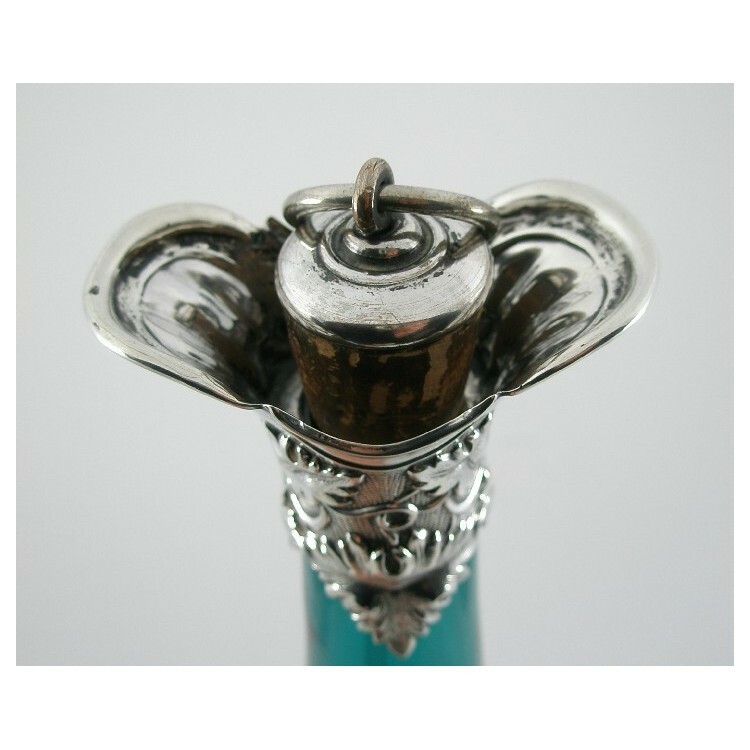 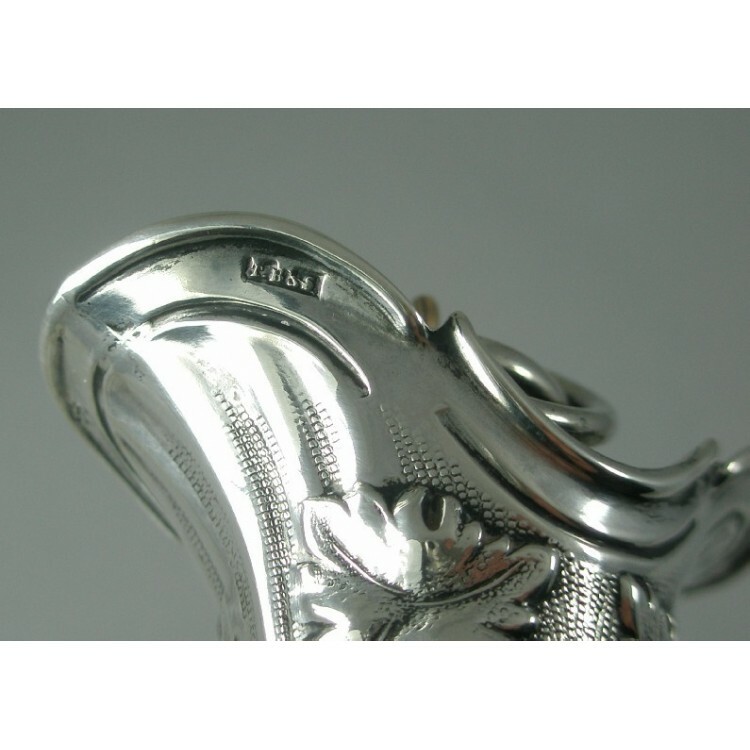 Silver mount with grape vine design, makers mark TB&S (Thomas Bradbury & Son 1832 - 1848), date letter mark S and Crown = 1838, lion Sheffield mark and William IV duty stamp. 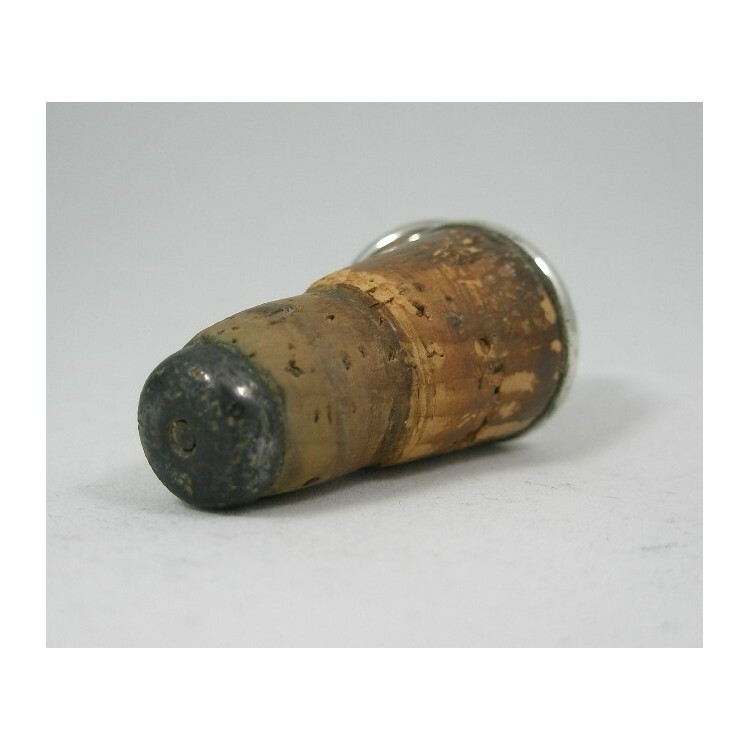 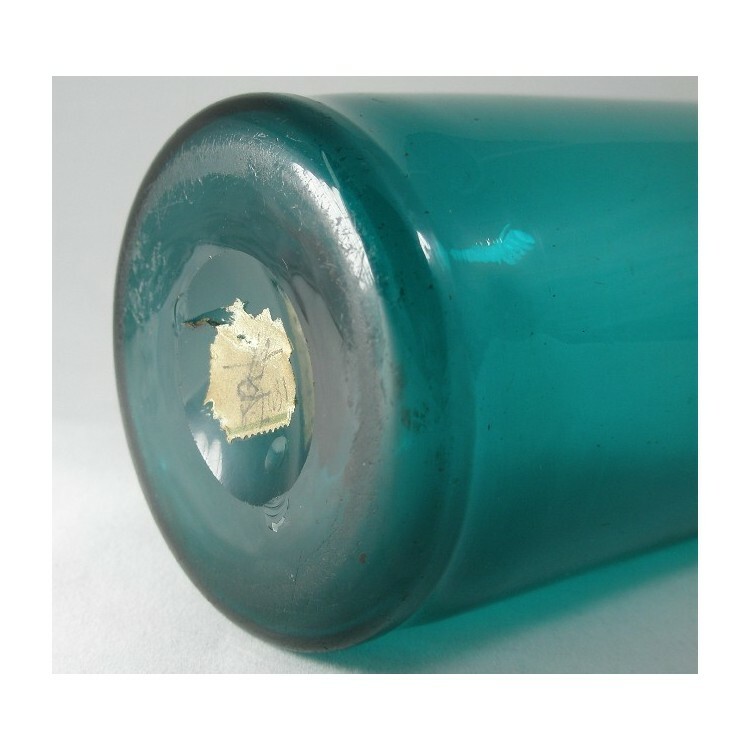 Lead crystal; polished out pontil mark with paper label (1807-8 and signature), not sure what this label is relating to. 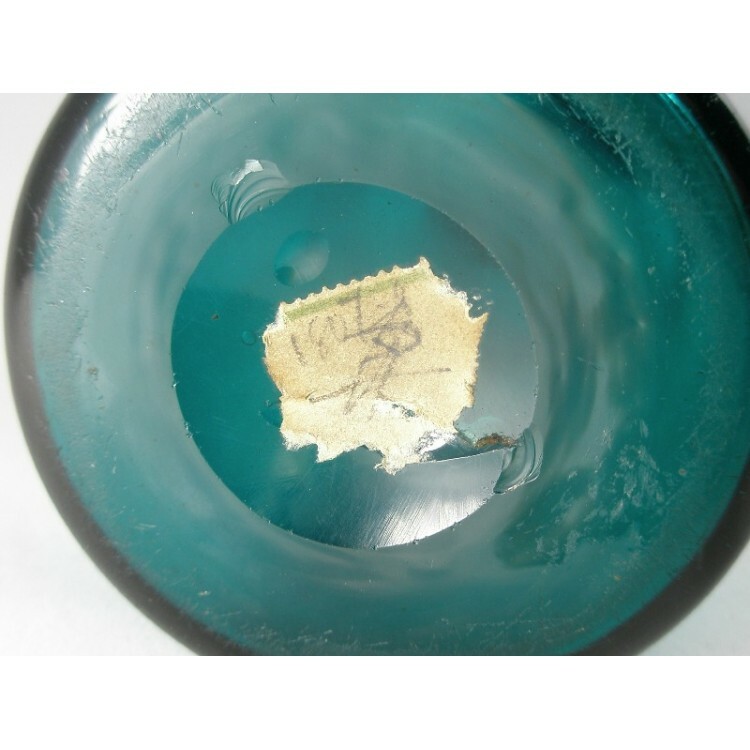 Very good condition with no cracks or chips. 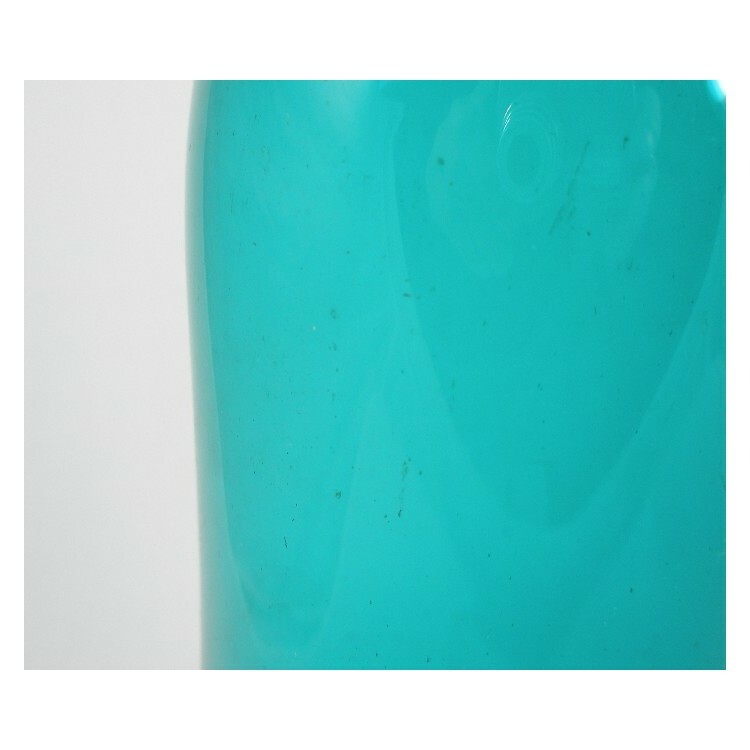 There are some very tiny inclusions and some light surface marks and scratches. 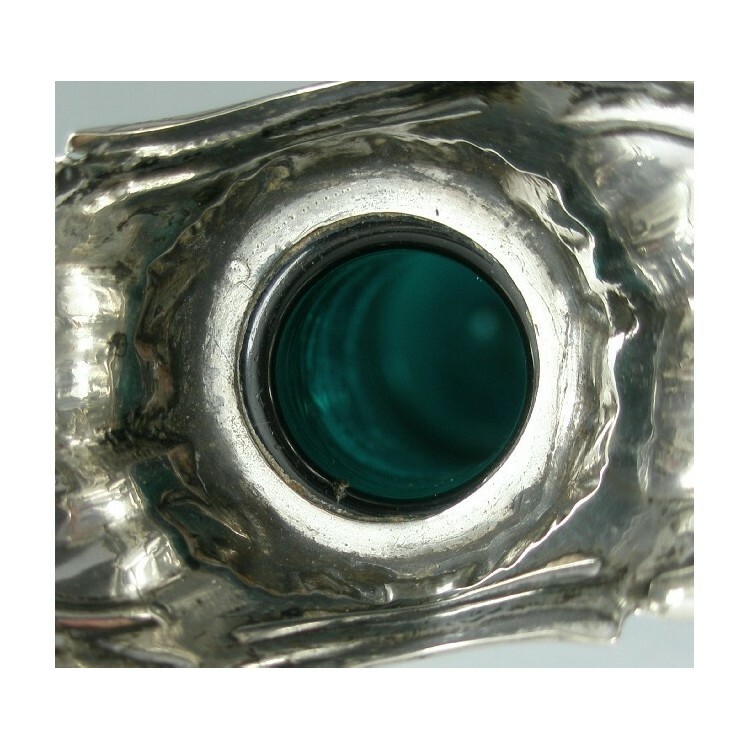 There is very minimal staining that can only be seen when looking through the decanter under a strong spot light. 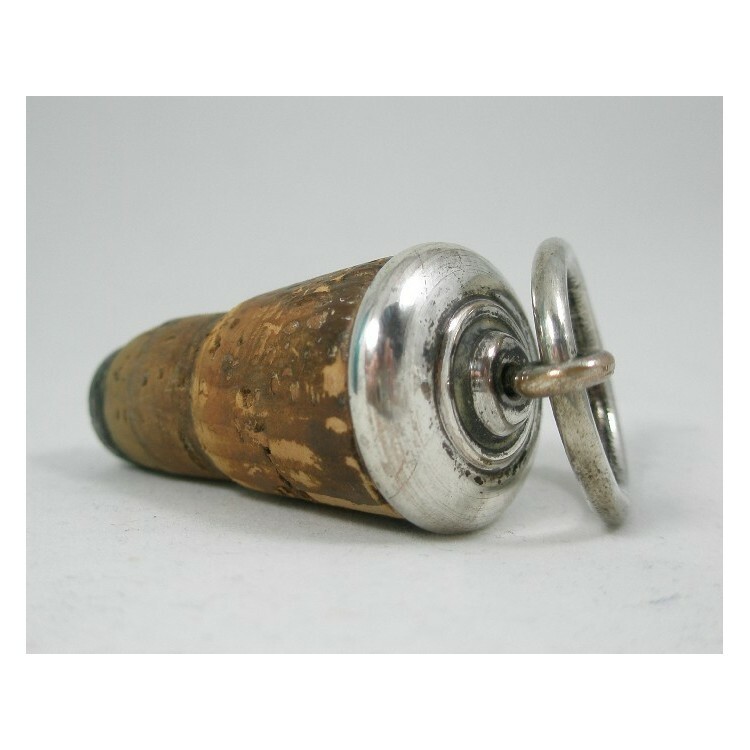 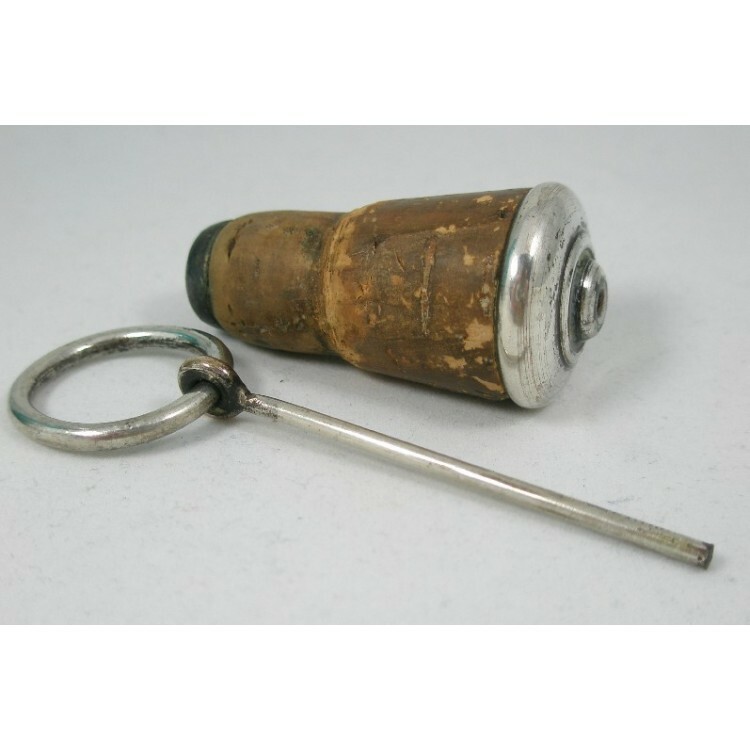 The stopper appears not be original but it fits very snug and looks to be from the same period, the ring pull with pin can slide out free from the stopper. 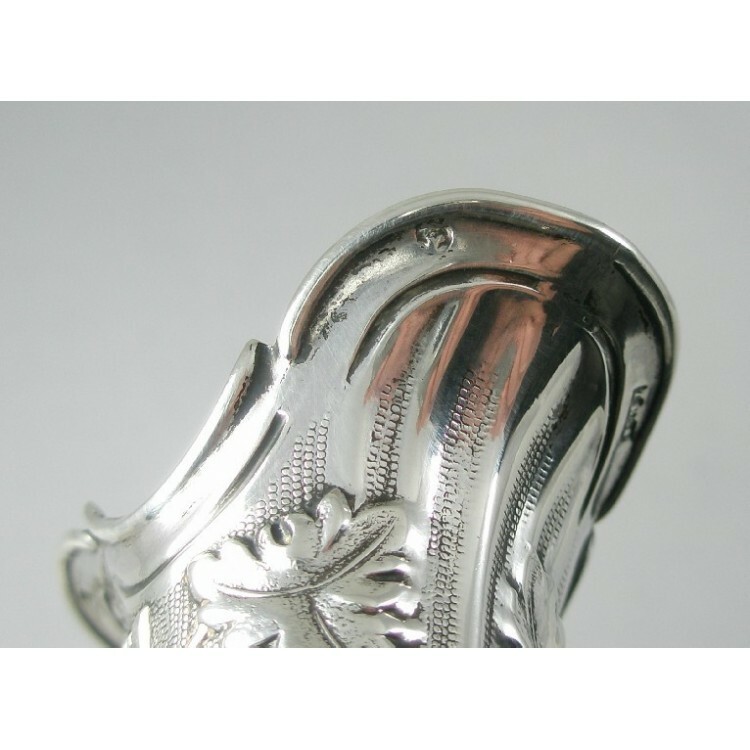 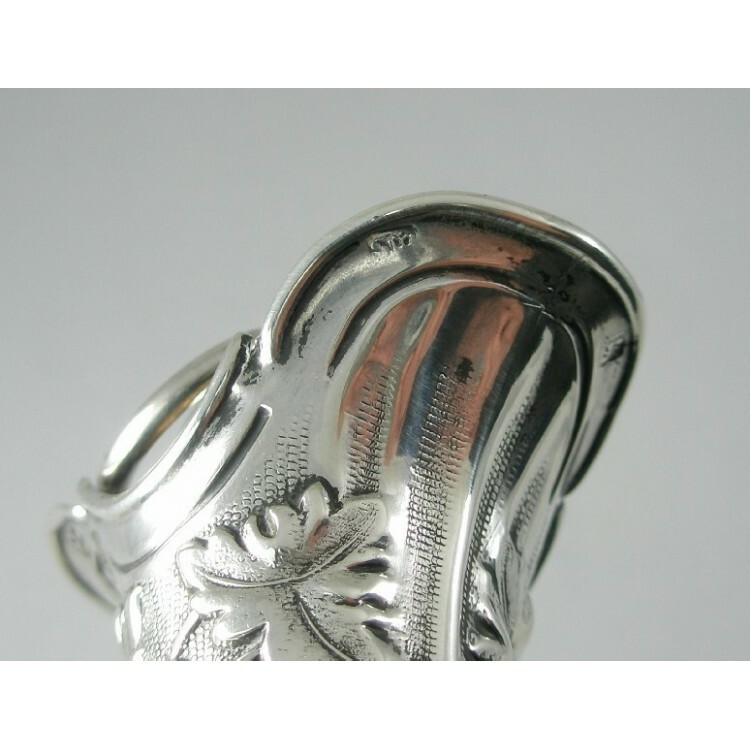 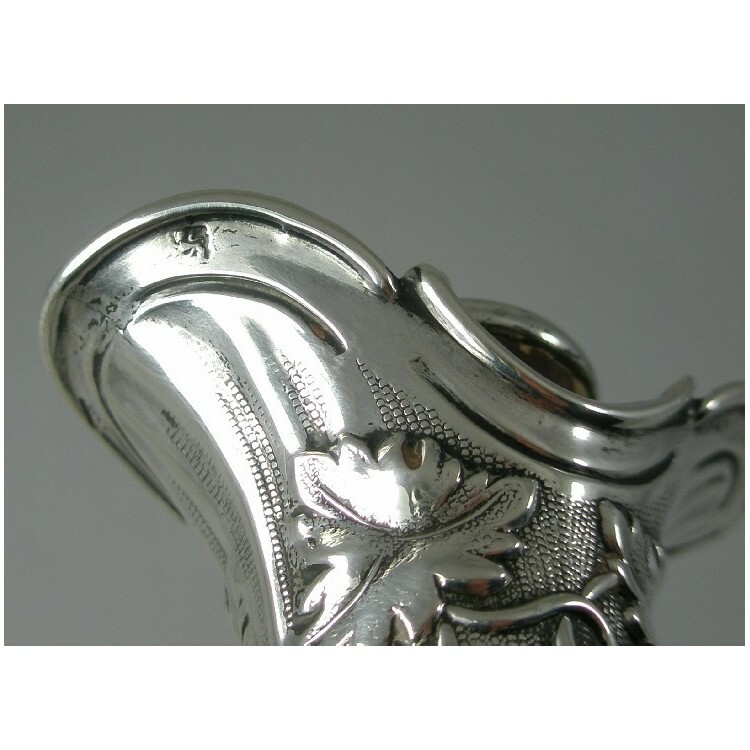 The neck has a slight lean, the silver is tarnished in certain areas and there is a nick on the inside of the neck rim (please see pictures). 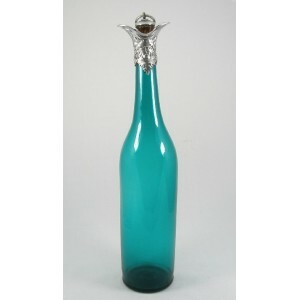 Height 15" (top of stopper) - Base Diameter 3"